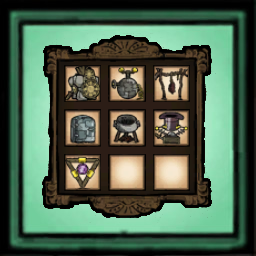 Original mod Created by Shen Yi http://steamcommunity.com/sharedfiles/filedetails/?id=578820740 Lets You Move Your Stuff just right click on the structures to convert them into items & pick them up. Comparing mine to the original by Shen Yi Shen Yi replaced a lot of default items. And even removed some features of them (Collision physics for example) My version, however, doesn't replace any Items. Implements Propper Collision physics. Fixes the Missing Features. And is completely compatible with DS, ROG and SW. This is my first Published mod, Hope you like it.